It’s no secret that we here at Inhabitots are pretty big fans of Patagonia’s sportswear products. We’ve featured the company’s eco-friendly, sustainable kids’ gear a few times, including here and here. What we haven’t covered much is the company’s unique approach to sustainable business that includes policies to ensure a strong work-life balance for their employees, including paid leave for employees to take care of themselves or family members, comprehensive health benefits, and competitive pay. For 30 years, the company has also provided free on-site childcare and its model is so innovative that they are now sharing it with other business leaders in an upcoming book, titled Family Business: Innovative On-Site Child Care Since 1983. Patagonia has been a family business since its inception, when it was founded by husband-and-wife team Yvon Chouinard and Malinda Chouinard in 1973. From the start, the company has designed its business practices to support healthy employees, families, and the environment. In 2006, Yvon published Let My People Go Surfing, which is part-memoir and part-manifesto, detailing the company’s mission to put its people before its products with the end game of leaving the world a better place than they found it. Now, Malinda (with a team of coauthors and contributors) is doing something similar, focusing on the company’s flagship on-site child care program, the Great Pacific Child Development Center (GPCDC) which has been running continuously for over 30 years at the company’s headquarters in Ventura, California. The GPCDC program, which is one of the demonstration sites for the Outdoor Classroom Project, involves a lot of time outdoors, being immersed in nature, getting dirty, and being creative — all within close proximity to one or both parents. 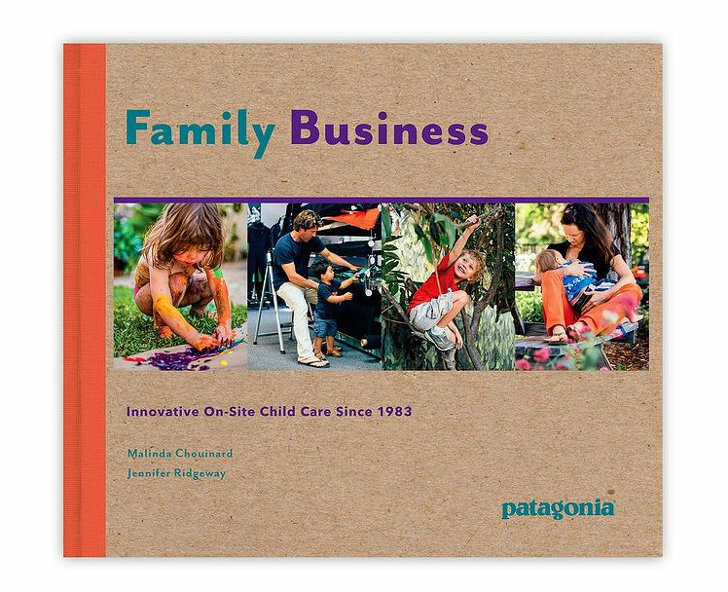 Family Business, which will be released next month, explains how a global brand like Patagonia, which reported $600 million in revenue in 2013, successfully provides high quality child care for its employees, and why on-site child care is a key factor in managing a responsible, sustainable business. The 400-page book is a ‘visual story’ of how Patagonia supports working families in a way that preserves American ingenuity for generations to come, by investing in and inspiring children at a young age. The other authors of Family Business all play important roles for Patagonia. Jennifer Ridgeway is the former Director of Photography at Patagonia, her children were among the first to enroll in the Great Pacific Child Development Center, and her grandchildren attend the center today. Anita Furtaw is Director of Family Services and designer of the on-site child care program. Rose Marcario is the CEO of Patagonia Works, the company’s sister holding company that manages a multimillion dollar fund that supports environmentally responsible start-up companies. 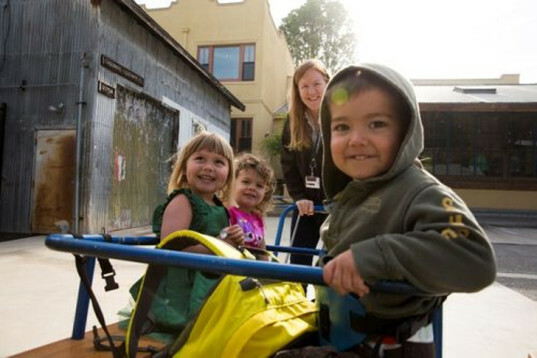 Patagonia, a sustainable business founded in 1973, is publishing a book on its on-site child care center, which has been running for over 30 years.